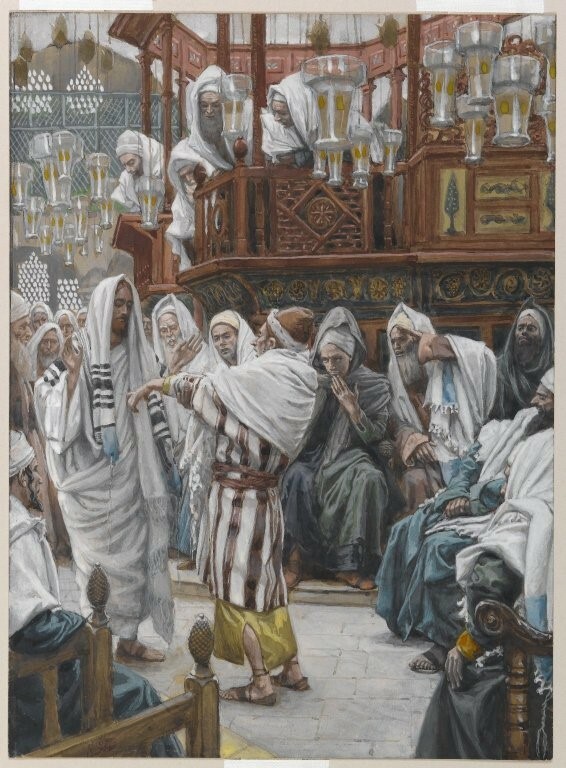 From the very beginning of this interaction, the Pharisees were not concerned with doing what was good. They were set on trapping and condemning Jesus. As Jesus presents a case as to why it is better to cure on the Sabbath than not at all, he is met with emotion and pride instead of reason. Jesus grieved at this and outwardly expressed anger. Who do you identify with most in this story? Make an honest reflection of your heart. Are you Jesus, willing the most good and actively trying to sway others to pursue it? Or do you see yourself more as a hard-hearted Pharisee, who is stuck on their own pride? Or are you somewhere in the middle? How can you be more like Jesus when you face conflict with another? We live in a culture of Pharisees. One can observe this by watching the daily news or scrolling through their Facebook feed. We are often far too focused on proving our point than seeking what is the most good for society at large. Meditate on today’s Gospel and offer a Chaplet of Divine Mercy for the healing of the world and penance for our hardness of hearts. Pray for God’s help in responding more like Jesus when faced with conflict rather than responding with pride and hardness of heart. Today, try and consume 2 servings of Dairy! Dairy is a great source of calcium and way to Refuel your body!